With this video, I aim to evoke a feeling of calmness, of being taken out of time for a few moments. There are thousands of slowly moving pieces, more than the eye can follow at once. 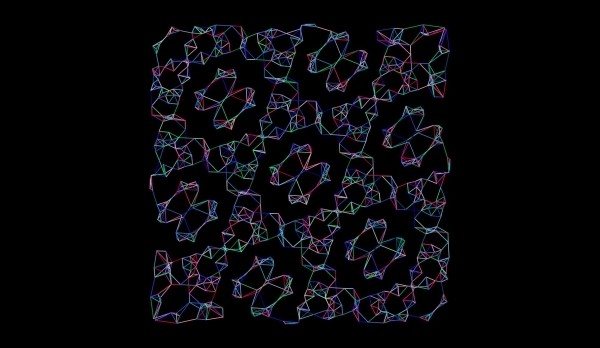 The combined motion develops into a slow but deliberate dance. The graphs are generated using modular arithmetic. For each graph, given parameters n and a, each of the vertices lie on points (x, y) such x*y ≡ a mod n. For each vertex, there is are line segments connecting it and it's 4 closest neighbors.